Do you represent a Missouri State Government Agency and wondering how you should archive all your web and social media content? Are you trying to determine what you need to do both from a legal and a technical point of view? Here’s a guide to the different Laws and processes you should follow. What Laws govern Records Management in the State of Missouri? 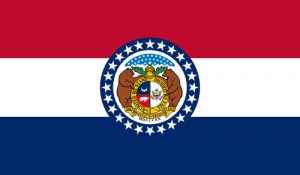 Do Missouri State Records Laws include Website and Social Media content? Chapter 109 defines records as any document, book, paper, photograph, map, sound recording or other material, regardless of physical form or characteristics, made or received pursuant to law or in connection with the transaction of official business. Subject to Chapter 610, Missouri Attorney General notes that, “the Sunshine Law applies to all records, regardless of what form they are kept in, and to all meetings, regardless of the manner in which they are held.” Government records on a non-government owned server (i.e. social media site) are subject to a Sunshine request, and legal discovery. Missouri Secretary of State has issued guidelines for interpreting Sunshine Laws in the public interest and enacting an Agency Social Media Policy. These guidelines clearly indicate that content placed on social media sites and platforms may be considered public record – it is content specific. Content placed on internal social media forum as such as wikis and collaborative software are also subject to this. Each agency using social media is responsible for keeping these records according to the appropriate retention schedules. Social media companies are not obligated to respond to agency requests – and so it is important to monitor social media activity and capture all records in a comprehensive records management system. If the content used in these tools constitutes a record, it is the responsibility of the agency that owns the media account, not the vendor, to maintain that record for its retention period. (State record retention schedules can be found on the Missouri General Retention Schedule or an Agency Records Disposition Schedule that has been approved by the State Records Commission per 109.250(2). The length of time a local record is to be retained can be found on Records Retention Schedules that have been approved by the Local Records Board per 109.255 RSM(o). Each public body must have a written Sunshine Law policy and a custodian of records whose name is available to the public upon request. (Sunshine Laws). Agencies should also periodically audit their social media policy. The Sunshine Law does not specifically state what records the body must keep in a certain form (or for how long). Records must be available for production on request by the public in a reasonable amount of time, may have to provide a certified copy and cannot delete any records before the applicable records retention period has expired. How can we transfer website archives made with PageFreezer to the Missouri State Digital Archives? PageFreezer exports all data on request in the original file format including the required metadata. This data set can be transferred by FTP or by other means to the Missouri State or Agency Digital Archives.